Dama has raised her three sons in the village, Flying Dragon. Children- boys- are essential to carry on the family line, but her three sons have failed to produce any and now her pregnant daughter-in-law is living in a hidden cellar to avoid a forced abortion. Meantime Fenghua’s only nephew has been kidnapped, probably sold. In a land where people are viciously punished for wanting to be parents, and where the law keeps changing, peasants will go to desperate lengths in order to have a baby boy, legally or otherwise. Mingming and Fenghua must make a hearbreading decision in order to have the baby they long for. Dingming wants to marry but his lady is elsewhere. Xingming hasn’t yet met a wife. will dam’s offspring be able to carry on their family line? A: I worked in Population Research Institute of Peking University, China. I did a lot of investigation about the one child policy in China. I got the first-hand material from my research. A: I am retired at home. A: I grew up in the rural area of China. A: I was born in a family of 36 people. My grandmother is head. When my parents moved out I was under 7. They left me behind. Every time I wanted to see my parents I had to walk 10 miles on foot. My grandmother companied me to visit my parents. We took food with us. These journey left me a deep memory. Q: I'll bet. What’s the most valuable thing you’ve learned? A: Countryside with vegetable garden. A: Tangshan earthquake in 1976, I was in Beijing, but it affected Beijing. A: When I was lecturer of University, I help poor students a lot, such as gave them money or food, whatever they need help with. A: I left my children when they needed me. A: When I gave a speech in front of thousands people, but I lost my voice. A: I got to know Ron Amitron in 2016, but would like to know him when he just came out in 2005. A: Be here and now. A: One day I took my son to swim, but he disappeared in the swimming pool. I jumped into the pool and rescued him. Q: Wow! What makes you excited? A: To see Ron Amitron. A: The first one was my classmate at University. The second one I met in the library of Exeter University. I asked him how to index by the computer. A: When I got fellowship from UN. When I was working in the field in rural areas I got a news to be sent to study in Peking University. A: "What could the Chinese peasants do about the authorities? Hundreds of years...thousands of years, the world around them had not changed." A: When Western started to adopt Chinese girl orphans, I wanted to write Fate, to tell them how noble they were. A: The story came from true facts but not one person. Q: On what real events is your book based? A: Nearly 40 years one child policy in China. I like Dama and dama’s three sons and their wives. They were kind hearts. A: Count Lyof N Tolstoi. A: Invasion! Constitutional United States of America by Soverein elite Star Command. A: Truth is within your heart, not in the mind. A: I like to write outside, sitting in the grass field if the weather is nice. A: When I wrote Fate 20 years ago, I tried to publish without money but failed until I got money from my husband. I decided to self publish. I wrote 3 novels, but no publisher to publish without money. I gave up for more than 20 years. When my husband told me that he would like to pay, I was very grateful. I chose Fate to publish. My daughter helped me find my publisher online. It took around 1 year to get published. A: My husband and my daughter did editing. the publisher did editing too, but not enough. 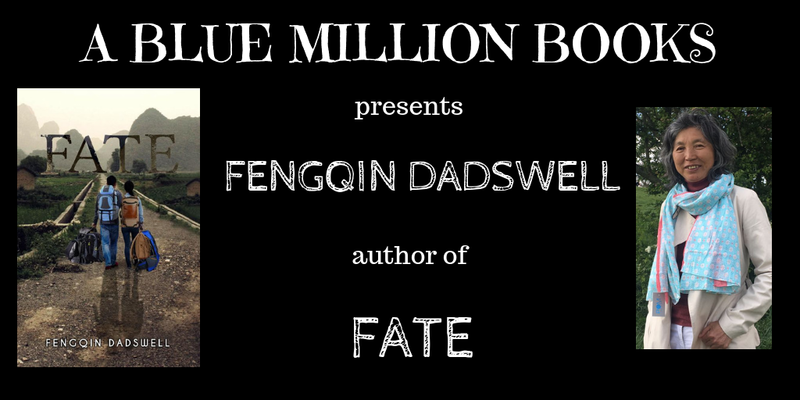 Fengqin Dadswell was born in a small village in northeast China. Her parents could not read or write. She was lucky to enjoy free education, graduated from Peking University. After working 14 years in this University as a researcher she came to study MA degree in Exeter University. She lives in London. 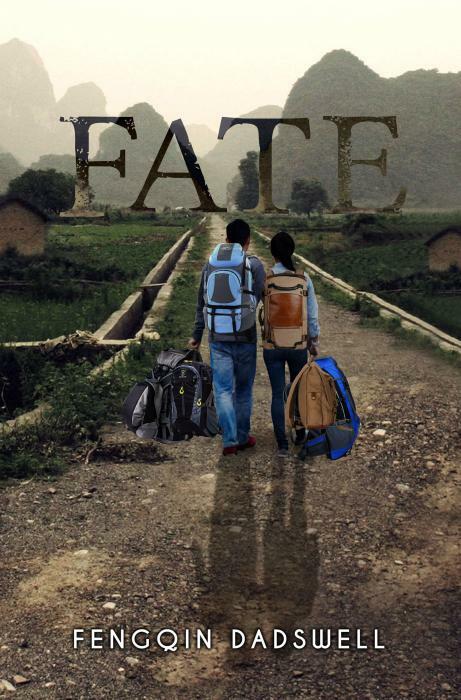 Fate is her first book to be published.